Dalby Adventure Club for children aged 8-16 years. The sessions have been designed to suit families with children aged 8 and above, all under 16s must be accompanied by one adult and any one adult can have upto 4 children with them. Drop off at the Hidden Horizons Office in the courtyard at Dalby Forest by 10am. They will need a packed lunch and drink, outdoor clothing and waterproofs. Cost – Adult £20 and Child £15 per day. This includes the price of the Dalby Toll Road. 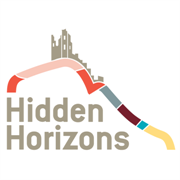 Book on 01723 817017 or via Hidden Horizons Facebook here.